Ponte has never been so popular. It's comfy as can be and has a clean, smart look that goes where denim doesn't dare, from important corporate meetings to parties where the dress code is city chic. 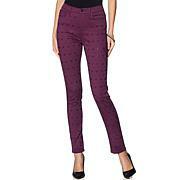 With a fit like DG2 denim, the lean jean offers a sleek and modern silhouette. 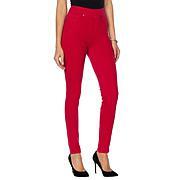 Add finesse to fall fashions and warm your winter wardrobe with the ultimate pair of pants. Fit is perfect, comfortable and stylish! Wish there were more patterns-Id buy them all! I bought this for my daughter, who is curvy like me (small waist, curvy hips) and the fit was perfect. She loves it! I can usually count on Diane's pants. 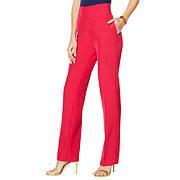 I was so happy with these pants I bought a second pair in another color. You wont be disappointed! 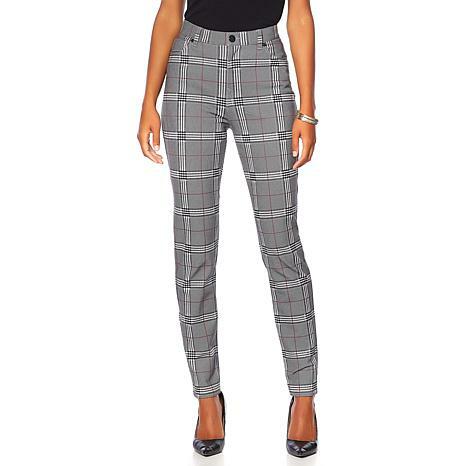 These pants have the perfect blend that wears and washes well. I had a pair with similar fabric blend from Ann Taylor that I couldn't find again and here is it with DG! Perfect! I ordered the Ponte Lean Jean in my size and it was a little snug. The fabric is good. Next time I will size up.